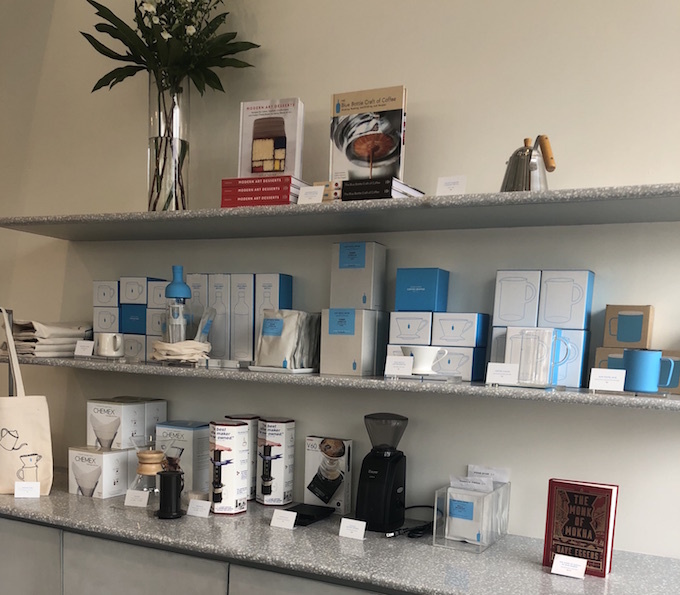 On June 15th, my wife and I visited Blue Bottle Coffee located on 116 N Robertson Blvd in Los Angeles (Beverly Hills). I will say right away that this was one of the best cups of coffee I’ve ever had. I ordered a traditional drip coffee and the barista told me that they use their in-house Bella Donovan blend. The coffee shop and coffee menu was minimalistic and clean, which I loved. But I haven’t told you the best part yet. To my surprise, they do a pour-over for every single drip coffee. They use their in-house pour-over devices and line them up four in a row. I was really impressed with their operation and I had a feeling that my coffee was going to be delicious. This was a big shift from what I experienced at Alfred Coffee on Melrose Place, which served over-heated, weak coffee. The barista was working hard and the pour-over didn’t take long at all. The reason I make this point is because of the pour-over experience at Starbucks. If you go to Starbucks in the evening and want a decaf coffee, they’ll have to brew it using the pour-over method. It usually takes a super long time to get your coffee because the barista forget it about. This was NOT the case at Blue Bottle Coffee. At this location, their pour-over station is fully displayed and visible to the customer. So, after only a couple minutes, I received my coffee. The coffee was served in a compostable cup and had a compostable lid as well, which I thought was awesome! As you can tell, this experience was off to a good start, but I came for the coffee. Let’s just say I wasn’t disappointed. I first tested the coffee’s aroma. The aroma was fruity and smooth. After enjoying this amazing smell, I took the first sip straight black (no cream or sugar). It had a fruity flavor, was incredibly smooth, AND it was a heavy dark roast. The coffee was so good that I was tempted to drink it black. This is rare because I NEVER drink black coffee, but it was honestly that flavorful and smooth. I then decided to add some cream and raw sugar. The coffee was so good that I just in the cafe with my wife and sipped on it. She was getting super annoyed because I couldn’t stop talking about how good it was. She also didn’t like how I was savoring it and taking super long. 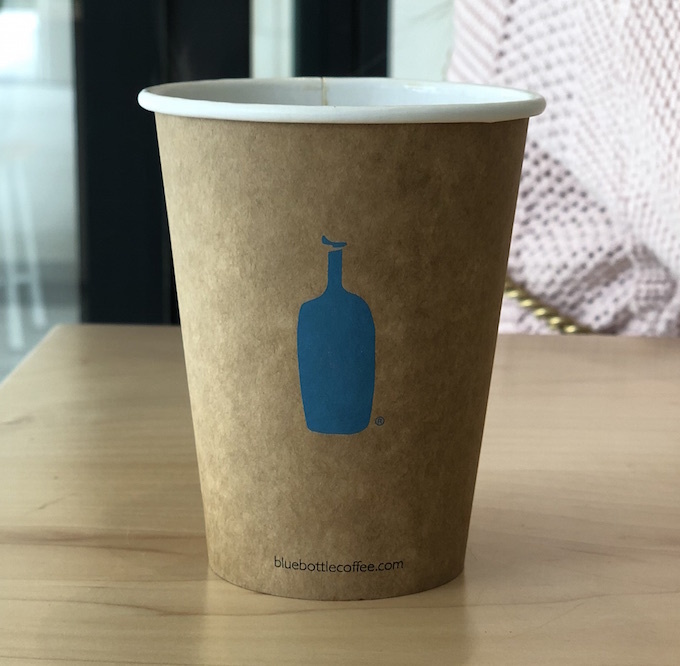 With that said, I have to give this Blue Bottle Coffee location a big 5/5 stars. It really was one of the best cups of coffee I’ve ever had (outside my homemade coffee). I highly recommend you check it this location in Beverly Hills on Robertson Blvd.